Before he was introduced to Attitudinal Healing last year, Senfuma Moses supported youth in his community through technical training and employment readiness programs. In 2017, he integrated Attitudinal Healing into his life skills programs and began operating in the Wakiso District as the CAH Uganda. 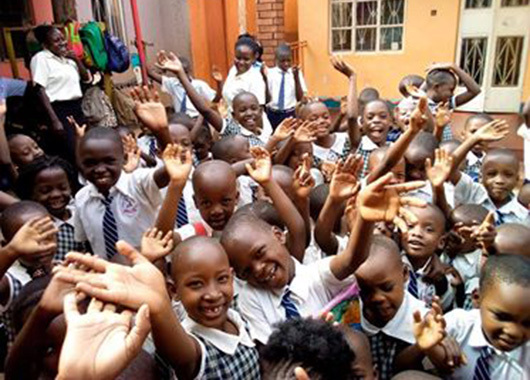 In only one year, Senfuma dramatically expanded his programs and now operates both urban and rural centers that serve children, youth, adults and elders. In March 2018, “Attitudinal Counseling and Healing Society - Uganda” obtained official NGO status to operate throughout Uganda. Attitudinal Healing and facilitator training are popular additions to the technical curriculum in the urban center. In rural areas, a program called “Nature’s Wisdom Gateway Farm Project” is being developed on a two-acre eucalyptus plantation provided by a government forest reserve. The Nature’s Wisdom project offers a variety of exciting outdoor activities, farming education, bee keeping, healthy cooking and nature walks using Attitudinal Healing as a vehicle for promoting tolerance, forgiveness, positive attitudes, self-esteem and inner peace. A rural school program engages students, teachers and parents in Attitudinal Healing as well as the Nature’s Wisdom projects. As the word spreads from community to community, Senfuma and his team are receiving more and more requests for AH workshops and educational programs. Because they are apolitical and embrace all people regardless of age or religion, their work is in high demand in many sectors of the community. 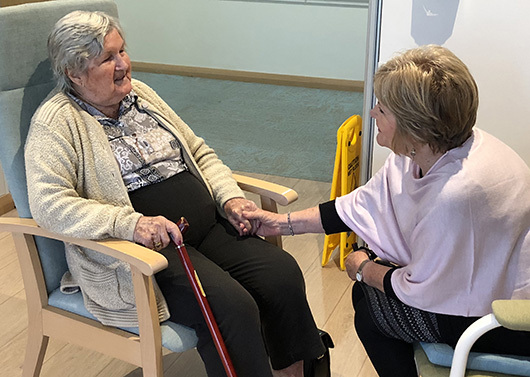 In Australia, it is estimated that 40% of residents living in aged care facilities experience social isolation and loneliness because they do not receive visitors. People living with dementia often feel alienated from community life. To address these serious problems Attitudinal Healing Western Australia (AHWA), in collaboration with the City of Melville and Alzheimer’s Western Australia, is conducting a pilot project to help alleviate this isolation. 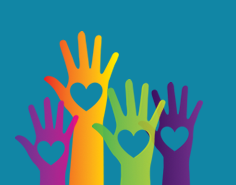 AHWA has designed a program to train volunteers to be regular visitors to people in aged-care facilities, a win-win for all. The ‘Companions’ report that they hadn’t realized how much they would receive in becoming volunteers. How much they would learn about themselves and how, they feel so ‘given to’. It has been a win, win, win situation for all involved. Special thanks go to the AHI staff and Michael Verde from Memory Bridge for their enormous support, input and mentoring throughout this project. Having already had a very positive experience for more than a decade integrating AH into the “One Hundred Days Without Addiction” program at the State Penitentiary, the AH Center in Guadalajara made a similar program available at the Juvenile Detention Center. They adapted the Power to Choose “ELIGE” school program using innovative creativity to very positive effect. 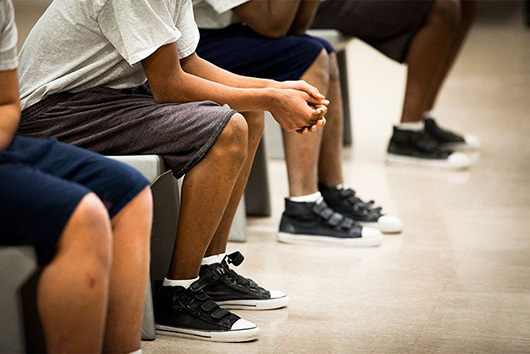 The boys are ages 14 to 20, and all are ordered by the judge to take the program. 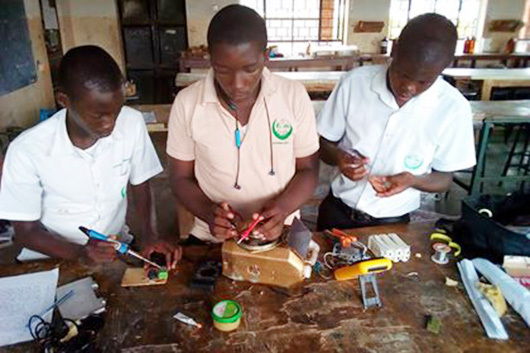 Despite initial resistence, over time the boys voluntarily integrate the concepts within themselves, connecting with each other and the facilitators. To this day all the participants in the program continue to be involved voluntarily. Recently there was closure of the 12th Group, bringing the total to 160 boys. Each group that finishes the regular program is integrated into the follow-up program with the previous generations. With different activities and different dynamics, all of them are oriented to practice Attitudinal Healing, which continues to support their positive development. 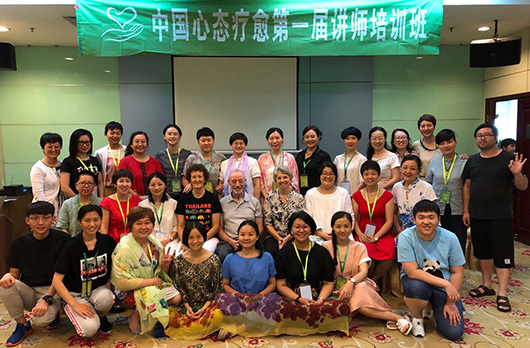 By the end of 2019, AH China will have thirty new trainers offering Attitudinal Healing presentations, workshops and trainings throughout China. The 3-year Trainer Training Program, offered by AHI senior trainers Carolyn Smith, Joe Keery and Trish Ellis has just completed its second year. Trainees from thirteen cities and many varied walks of life have completed two years of AH Trainer Training. 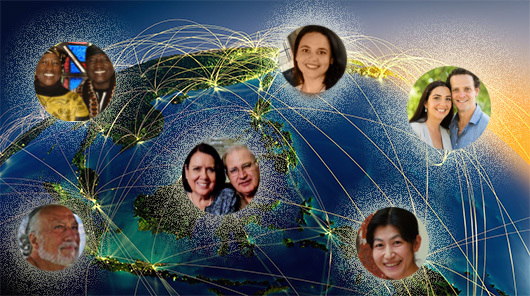 They are teachers, psychologists, entrepreneurs, business professionals, professional trainers, soldiers and house wives. All are devoted to their own inner peace and enthusiastic about sharing the powerful tools of Attitudinal Healing which has changed each of their lives. Many of the trainees are already offering AH lectures and workshops in their own communities. Each one brings a personal style and insight, as well as important cultural relevance to their presentations.